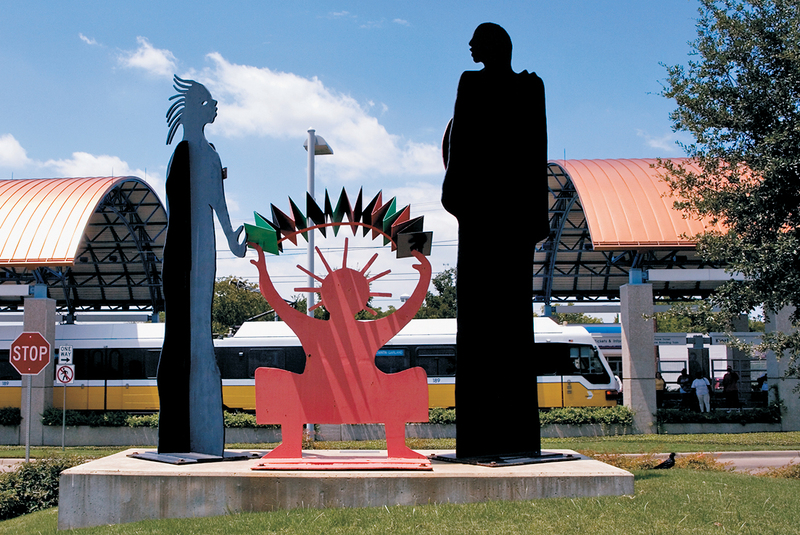 Station art and design reflects two community values: the importance of family and multiculturalism. 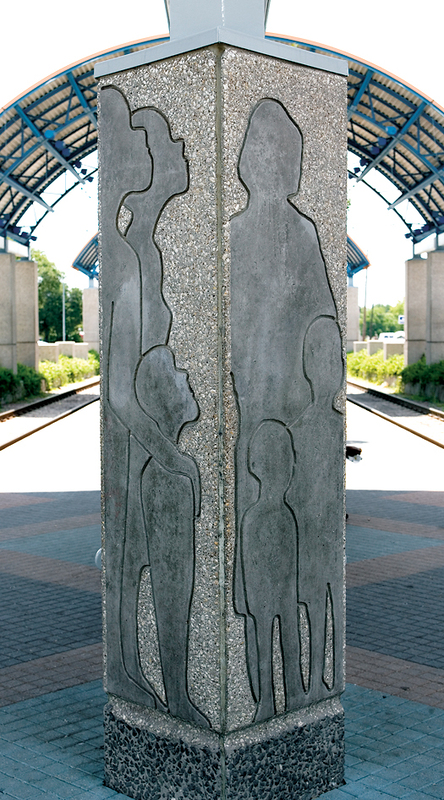 The columns feature images of a young family, and the station's large sculptural work is a locally based collaboration between a black artist, Frank Frazier, and a white artist, Stuart Kraft. 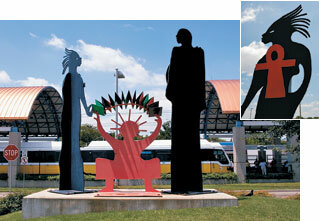 A highly stylized depiction of a man, woman and child, the sculpture draws on both African and Western design. Its many colors reflect the "rainbow of cultures" that lives in the surrounding neighborhood, while symbolic elements represent wisdom, enlightenment and other attributes. 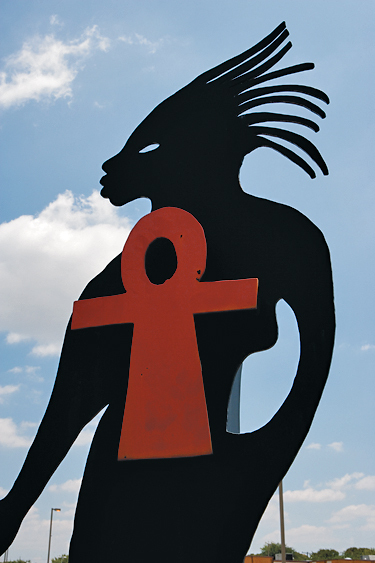 Employing the exceptionally linear dimensions of the station to maximum advantage, the sculpture rises prominently next to Lancaster Road, an arresting image for passersby and light rail riders alike. Click on the images below to view a high-resolution JPG.